Higham Hall | A book by Tutor Robert Dutton! Higham Notices / A book by Tutor Robert Dutton! Just launched! 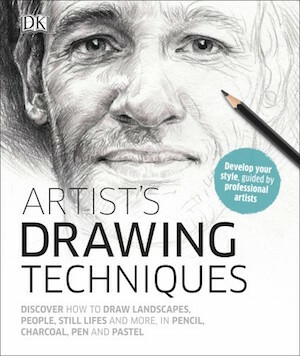 Higham Hall Tutor Robert Dutton (a very popular and gifted artist who runs successful expressive mixed media art courses here at Higham) has LOTS of new paintings featured in this brand new book Artist’s Drawing Techniques – just recently published by DK Life (in association with Penguin Books) showing step by steps paintings in progress, bags of art techniques, hints and creative tips with pastel and includes several Lake District paintings as well. To try out several of these techniques with Robert join him in an exclusive studio based mixed media art course here at Higham Hall in early December. Best be quick though, places are filling fast! We would say that the book is superb, being a Dorling Kindersley/ Penguin publication, but having Robert in the flesh is even more of a treat! View Robert’s Tutor Profile page.